In the dry flatlands of the “panhandle” of Namibia – Caprivi Strip – is located an unexpected natural landmark – Popa Falls, a line of tall rapids (or it is a waterfall?) across the mighty Okavango River. 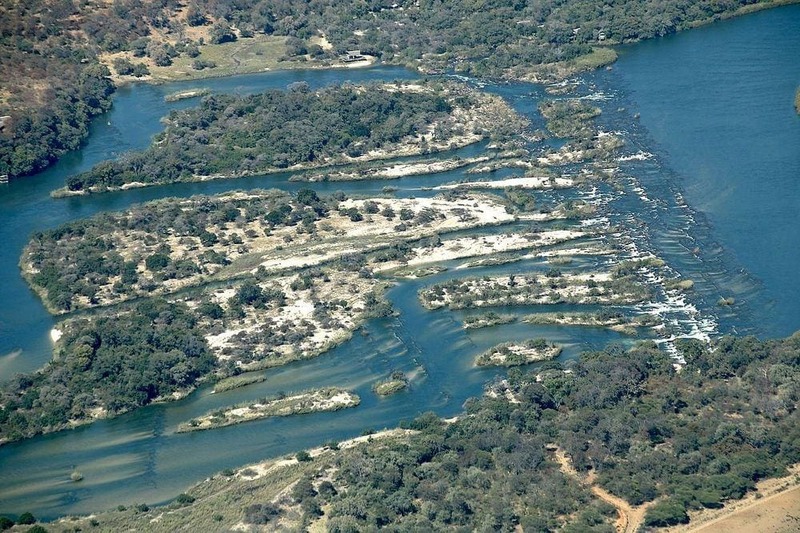 The 1600 km long Okavango river starts deep in Angola, in Benguela Highlands. Here it receives lots of water and gushes towards the south – Kalahari Desert. On its way, the stream crosses a narrow strip of Namibia and then enters Botswana. Here Okavango extends, divides into numerous smaller streams and… disappears in the sands of Kalahari Desert. This is not because Okavango does not have much water… no! The mighty stream brings hundreds of cubic meters every second and it creates an extensive wetland in the Kalahari Desert, where countless animals, birds, and plants thrive. In the Caprivi Strip, Okavango crosses an extensive sill of quartzite. Already at Andara village, the river divides into countless smaller channels in order to cross a low threshold but the most impressive fall is the last: Popa Falls. From air Popa Falls look like an unusual line across the river – above this line, the stream becomes wider and then, on this line, it splits into numerous smaller channels divided by many islands. Popa Falls definitely is not a well-pronounced waterfall – it can be determined as rapids, although in many locations stream falls from cliffs. 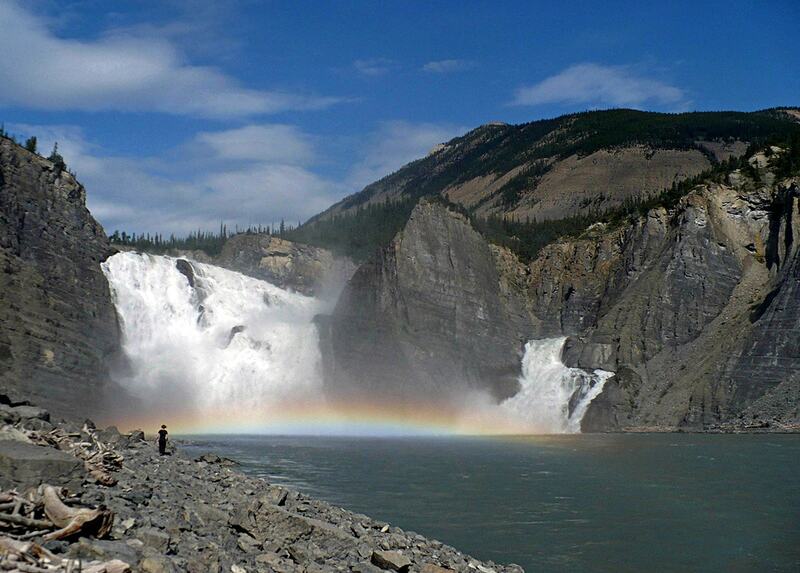 Falls are higher at low water, around September – January. 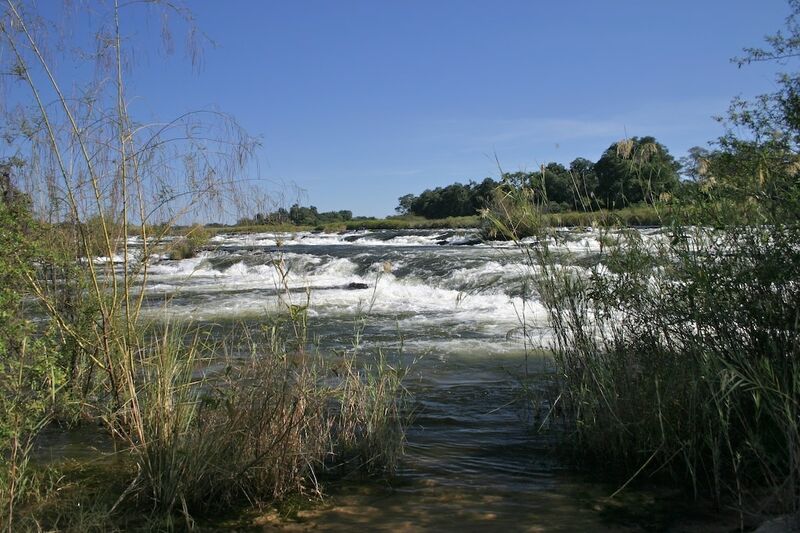 Then the total height reaches some 4.5 m, while at high water part of falls disappear and height difference decreases to some 2.5 m.
This is wide waterfall (or rapids) – around 900 – 1000 m wide. Also, the medium discharge of the river is significant: 365 mm3/s, while at the dry season – around 160 m3/s. Water quality in Okavango River is very high and numerous interesting aquatic species live here, including some very rare and possibly endemic species. Also above the water, the vegetation and animal life is very rich. Along the river is riparian woodland – a strip of species-rich, lush tropical forest. This is one of the few true tropical forests in Namibia. This green patch of vegetation contrasts with the surrounding grey savanna. Nevertheless, Popa Falls is just a start of a much more impressive show of life – further downstream starts Okavango Delta. Nature here is protected: below the falls in Namibia is Bwabwata National Park. Namibia depends on energy import and in early 2000ies was proposed a project to improve this situation: Popa Falls Hydropower Project. It envisaged the construction of a weir across the river before the falls and production of energy through the power of stream without much change to river geography. The expected gain was some 20 MW of energy. Nevertheless local public rejected the proposal – there were too many risks for the local tourism industry and Okavango Delta. In 2014 this project was stopped. Well, most of the countries in the world need to learn a thing or two from Namibia! S. Bethune. 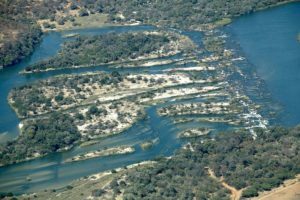 Environmental Protection and Sustainable Management of the Okavango River Basin (EPSMO), EFA Basin Ecosystem Report. Accessed in 22 January, 2019. Divundu Hydro Power Project. Accessed in 22 January, 2019. 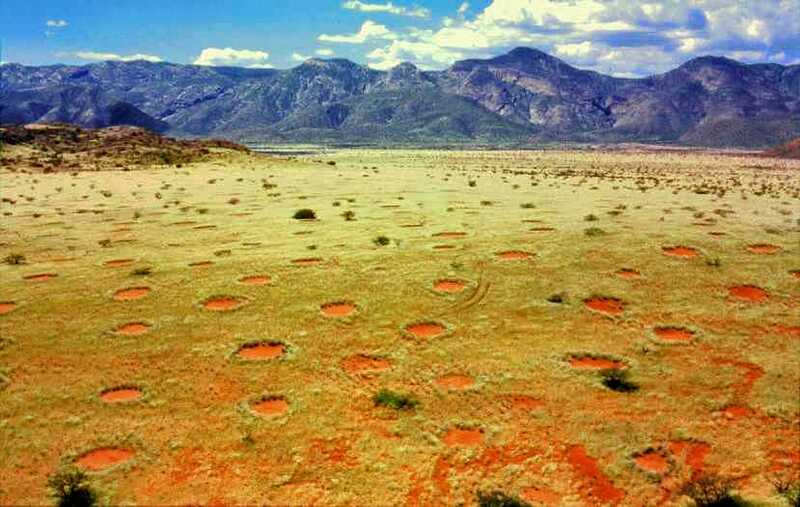 The mysterious fairy rings of Namibia / Thorsten Becker, Wikimedia Commons / CC BY-SA 2.0 Germany. Few countries in the world have such visually stunning landmarks as Namibia – it is no wonder that the landscape of Namibia has been used to depict life on other planets. Here are found several unique landmarks without analogues – such as the largest piece of natural iron in the world (Hoba meteorite), the largest underground lake, 50 m long crystals and some others. After The South African Bushveld—A Field Guide from the Waterberg, this is the second comprehensive field guide to be published in southern Africa that covers a detailed cross-section of the most prominent animals, plants, birds, fish, insects and tracks and signs of a particular region. It includes a detailed natural history section for a greater understanding of the geology, habitats and ecology of the region. With a booming economy and stable democracy, things are going well in Namibia. Tourism plays a huge role in the country, with some 1.5 million travellers visiting each year to explore and enjoy the country’s phenomenal landscapes, wildlife, natural history, and its immense sense of space.